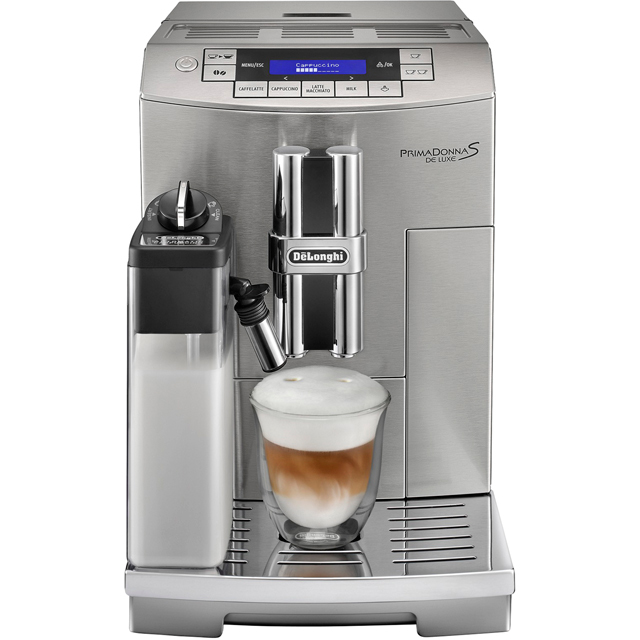 Bring your favourite café-quality drinks home, with this stylish bean to cup coffee machine from De’Longhi. It has 6 pre-programmed coffees, so whether you’re in the mood for a latte or a flat white, your go-to drinks will be ready at the touch of a button. You can customise them to suit your tastes as well, to make sure each one will be just right for you. Plus, the height-adjustable spout moves up and down, letting you use your favourite mug every time. This model’s dual boiler system keeps the water at the ideal temperature, delivering the best results. And, thanks to the auto clean function which flushes out residue in-between uses, it’ll stay in the best condition for longer. * ECAM28.465.M_SI was at the higher price between 19/03/2019 and 10/04/2019.